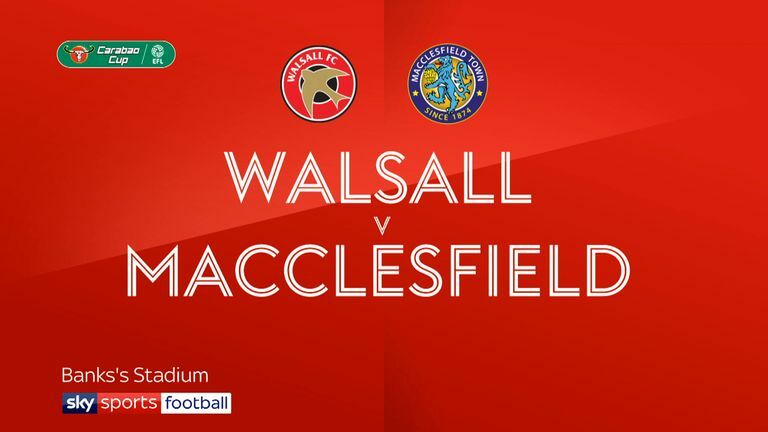 On-loan Manchester United keeper Kieran O'Hara saved three shoot-out spot-kicks as Macclesfield reached the Carabao Cup third round 3-1 on penalties after a thrilling 3-3 draw at Walsall. O'Hara saved from Andy Cook, Luke Leahy and Kieron Morris in the shoot-out to give Macclesfield a second straight Sky Bet League One scalp after beating Bradford on penalties in the previous round. 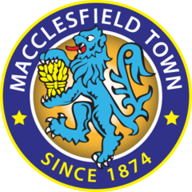 Macclesfield went ahead after 10 minutes as Malachi Napa's deflected shot hit the post and Jamie Grimes tapped home the rebound. They made it 2-0 on 25 minutes as Harry Smith drilled into the bottom corner from 20 yards. Walsall pulled one back on 32 minutes as Kieron Morris lashed home a 25-yard rocket and they hit the bar through Luke Leahy's header soon after. The Saddlers levelled on 62 minutes as Cook's shirt was tugged by Fiacre Kelleher and the striker fired home the rebound after O'Hara had saved his penalty. 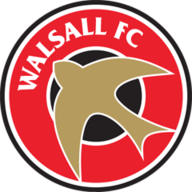 Walsall led two minutes later as Maz Kouhyar pulled back for Josh Gordon to tap home from six yards but Tyrone Marsh's stoppage-time cross-shot took the game to penalties.